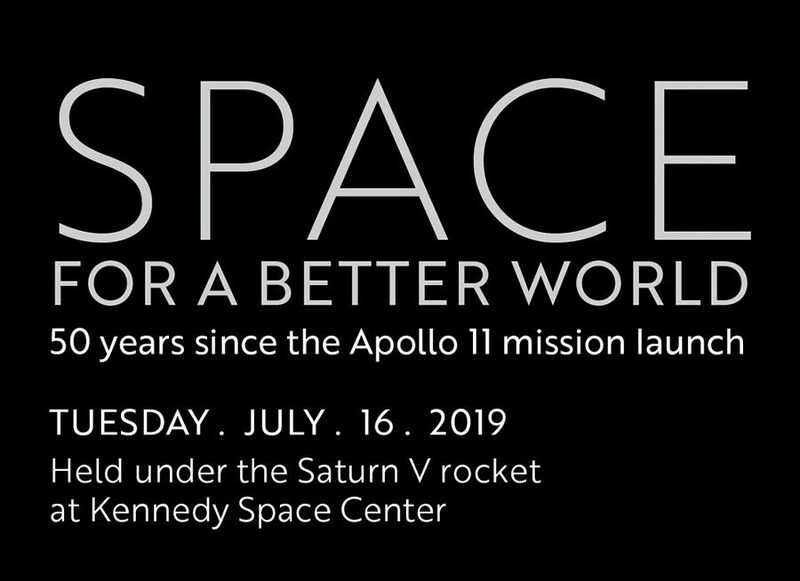 SPACE FOR A BETTER WORLD is the theme for the historic event that will be held under the Saturn V rocket on Tuesday, July 16, 2019, at Kennedy Space Center Visitor Complex. The Apollo 50th Gala event will pay tribute to humanity’s (seemingly) impossible achievement of reaching the moon, from our first steps to tomorrow’s giant leaps in space. The space race drove America to shoot for the moon, but the spirit that came out of the Apollo missions was “We Came in Peace for all Mankind.” Space unites us in a way that nothing else can and provides endless inspiration for people all over the world. 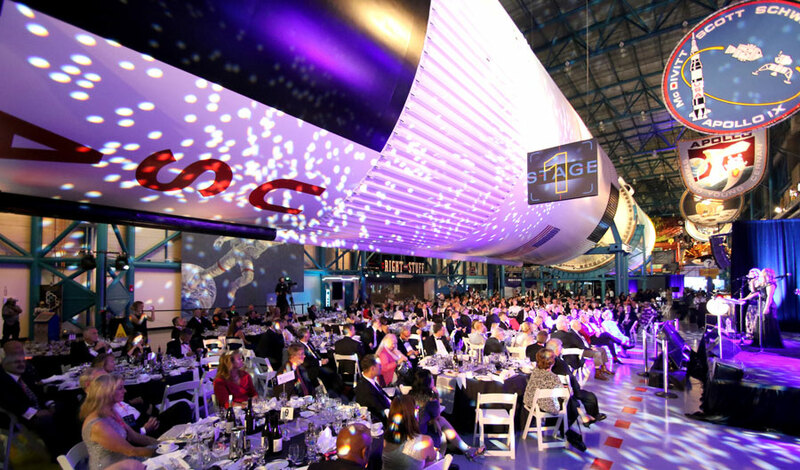 The Apollo 50th Gala theme will not only celebrate the historic accomplishments of the past but also examine how Planet Earth benefits from the world’s common interest in making giant leaps in technology and engineering. Raising funds for STEAM education, the Aldrin Family Foundation will release a limited number of tickets for public purchase in early 2019. For now, tickets are reserved for Foundation donors and supporters of previous gala events. In attendance will be: Apollo, shuttle and International Space Station astronauts, flight directors and space legends, Apollo families, NASA executives, global movers & shakers, space collectors and educators. 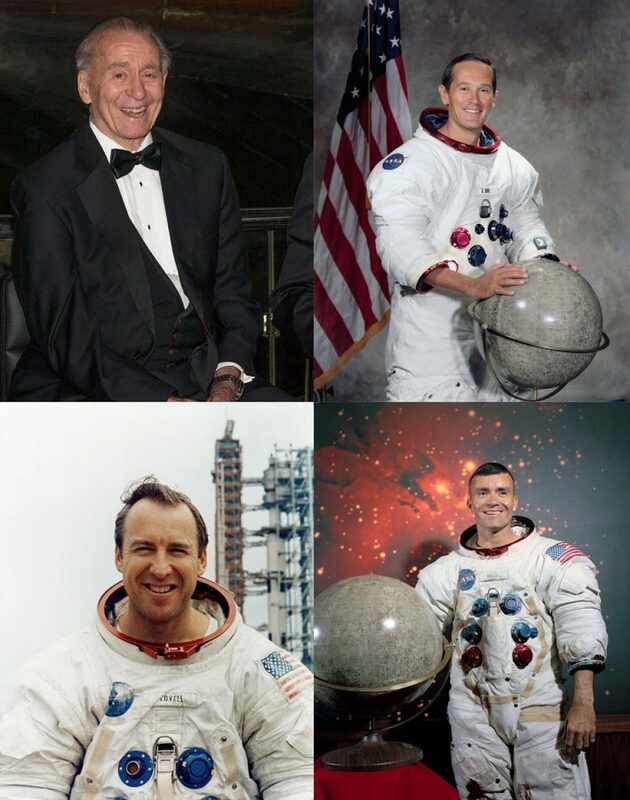 * Image credits L to R: Walt Cunningham, Charlie Duke, Jim Lovell and Fred Haise. * Apollo astronauts subject to change with limited notice. * Apollo 50th Gala website will be updated regularly as more attendees are confirmed.